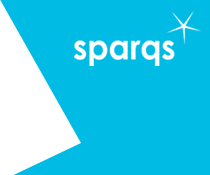 As part of our work to support institutions, sparqs provides a range of resources and support mechanisms that help universities, colleges and students' associations to develop effective representation systems. This includes materials that can develop course representative activity in enhancing the learning experience, as well as support for developing departmental representation. It is important, of course, that such representatives are recognised and rewarded for the work they do, and so we aim to provide information that can help that process, such as our guidance on the Higher Education Achievement Report. Much of what institutions and students' associations can do to develop student engagement can be encapsulated in a Student Partnership Agreement. We have provided guidance on how to do this. A more recent piece of work in developing representation, which kicked off in Spring 2016, is a project exploring the engagement of online and distance learning students - in conjunction with RGU, UHI, University of Aberdeen and the Open University in Scotland. Another more recent work area is around engaging postgraduate students. Postgraduates form a significant part of the student profile in universities, but due to the nature of postgraduate study there are often distinct challenges and opportunities for student engagement activity. For more information, please contact Simon Varwell.